The primary goal of Duvall & Associates, Inc. is to give clients complete turnkey solutions to their business needs. Through partnerships with leading technology companies, a variety of solutions can be provided with their CPA firm including complete network support, accounting and payroll solutions, internet web presence, and custom applications. 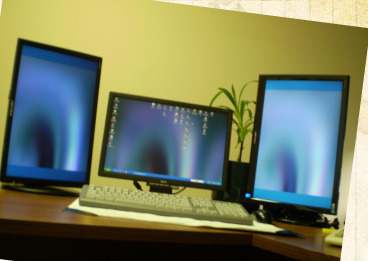 Duvall's staff is knowledgeable of PC equipment used in today's computing environment. The firm's expertise ranges from installing a new system to maintaining and troubleshooting existing systems. Duvall's has solid experience in building networks including the installation of cabling, PCs, and servers. The firm uses NetWare and/or Microsoft networks to create a stable computing environment. If you already have a network, Duvall & staff can help maintain it for you. The firm has specialized expertise in many accounting-based software programs including Peachtree Accounting, Quick Books, and MAS 90 Accounting. Duvall & Associates, Inc. has the resources to enable your business to establish a web presence for your company. Our company can provide supplemental staffing to support your internal Informational Technology needs. Duvall's can analyze business system requirements & develop customized solutions to solve those needs.